Love 'em or hate 'em, Avatars are here to stay. If you have to pick a very Nintendo-like animated persona, you may as well customize it, making it your very own. Avatar Awards are one of the cooler ways to do this; earning certain achievements unlocks clothes and accessories for your 'toon self. 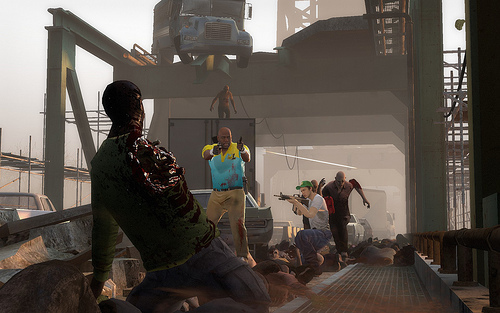 'Splosion Man did it first, and it looks like Left 4 Dead 2 is the next game to feature Avatar Awards. A few zealous folks over at the Steam forums found some interesting code which reveals the goodies and how to earn them. Frying Pan: Earned by killing 10,000 Infected. I can't wait to have these. My trademark zombie killin' phrase will be "Talk to the pan, 'cause the face ain't listenin'!" Page created in 0.3037 seconds.